Joel is a well respected member of the legal community. Joel is a 1995 graduate of Indiana University School of Law and a 1992 graduate of DePauw University. 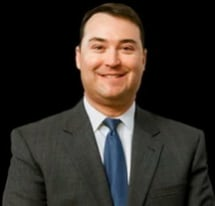 Throughout his career, he has proven himself to be an accomplished trial attorney. In more than 15 years of practice, Joel has tried in excess of 80 jury trials and 200 bench trials and has served as a Chief Deputy Prosecuting Attorney. For his efforts, Joel has received numerous awards including the 2007 M.A.D.D. National Prosecutor of the Year Award, the 2006 Indiana Governor's Council on Impaired and Dangerous Driving's Outstanding Prosecutor of the Year Award and the 2005 National Highway Traffic Safety Administration's Public Service Award. Joel has also served as a faculty member for numerous continuing legal education seminars and law enforcement training sessions throughout Indiana and across the nation particularly in the areas of impaired driving and trial advocacy. There are few lawyers in Indiana with Joel's level of experience and knowledge of impaired driving and traffic offenses. Joel stands ready to assist you. Protecting and preserving your legal rights is job number one. Joel's experience allows him to fully appreciate and understand the legal system and how to best protect your interests. Through his extensive experience as a prosecutor, Joel thoroughly understands the criminal justice system and how to make it work for you rather than against you. Joel's knowledge of the criminal and juvenile courts as well as the procedures that prosecutors and law enforcement officers must follow enable him to better evaluate your case and determine the facts and law that are on your side. Joel will work for YOU to ensure you receive the personal attention and representation that you need and deserve. Joel has dedicated his entire career to helping others and looks forward to helping you. Joel is actively involved in the community. Joel is an active member of the Hamilton County Bar Association, the Indianapolis Bar Association and the Indiana State Bar Association. He has served on a number of not-for-profit boards, including Indiana Safe Kids Inc., SNAP, Inc. and Promising Futures. Joel also serves on the advisory board for Miles Ahead a teen safe driving program held at the Indianapolis Motor Speedway, serves as co-chair of Hoosiers for Public Education and performs volunteer work for his church, BullySafe Indiana, Hamilton Southeastern Schools and other community organizations. Joel is an innovator in his field, having accomplished many "firsts" in Indiana. Joel created the Fatal Alcohol Crash Team (FACT) concept in 2001 while working as a deputy prosecutor in Indianapolis as a unique solution to a complex problem of how to better investigate and prosecute impaired driving death cases. He successfully obtained federal grant funding for FACT which continues to sustain the program to the present. Joel went on to serve as the first FACT prosecutor in Marion County and later in Hamilton County. Joel also served as the first Traffic Safety Resource Prosecutor for the Indiana Prosecuting Attorneys Council, a highly specialized post responsible for spearheading training for prosecutors and law enforcement officers in impaired driving and traffic safety issues. In 2010, while working as the Chief Deputy Prosecuting Attorney in Carroll County, Joel developed the legal guidelines for and helped local law enforcement and Department of Natural Resources officers organize and implement Indiana's first watercraft sobriety checkpoint which was conducted on Lake Freeman. Joel was also responsible for refining traditional sobriety checkpoint and seatbelt enforcement zone protocols and legal guidelines in Marion County. Let Joel put his experience, integrity and energy to work for you today. Call 317-608-6621 or send an email to joel.hand@joelhandlaw.com.